Many organisations use a Document Management System (DMS) such as HP Trim, Documentum, ECM, Sharepoint and Alfresco for managing all their internal documents. This can often be the central repository for PDF or MS Word documents that need to go through document approval workflows. Often some of these documents also need to be shared on the organisation’s public-facing web sites, while using the DMS as the single source of truth. 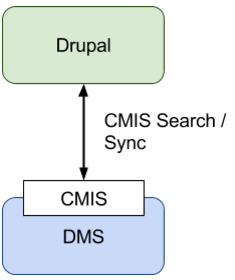 Drupal is able to integrate with many of these DMS using the Content Management Interoperability Services (CMIS) open standard. The Drupal CMIS module provides most of this functionality out of the box, and can be extended to add additional authentication mechanisms. PreviousNext works with organisations to determine their DMS integration needs, and can provide cost effective solutions integrating your DMS with Drupal.